About Chris Moore | Founder of Solid Rock Enterprises, Inc.
My name is Chris Moore, and I’m the founder of Solid Rock Enterprises, Inc. I have over 32 years of experience in building, remodeling, and consulting services for a variety of clients, and am the first Certified Aging in Place Specialist (CAPS) contractor for the Roanoke Valley. I started construction work in 1986, and my first boss was a Czechoslovakian Master Carpenter who had trained in the Old Country as a pattern-maker. He taught me the value of high-quality craftsmanship, unparalleled attention to detail, and the importance of handling every job with the utmost integrity and dedication to customer satisfaction. I now bring those same lessons to every job I do with Solid Rock Enterprises. I believe that everyone should be able to live in and enjoy their homes for as long as possible, which is why I focus on Universal Design and Aging-in-Place remodeling jobs. As a Chairman of the Western and Central Virginia chapter of the National Aging-in-Place Council, I have the opportunity to connect with people in a variety of fields, from attorneys to home care agencies, which places me in a unique position to provide my clients with assistance beyond renovation services. I enjoy using those connections to help people live comfortably and happily in their homes for as long as possible. I also do a lot of work with veterans, especially disabled veterans, and find it incredibly rewarding to be able to make a difference in their lives. 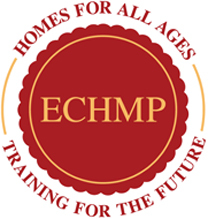 In addition to my CAPS certification, I also hold an Executive Certificate in Home Modification, am a National Association of Home Builders (NAHB)-approved education instructor, am a Certified Environmental Access Consultant, and am a Certified Graduate Remodeler (CGR). You can find more information about those certifications below. I also write a monthly column for Housing Matters and am a recognized author, writing for Angie’s List and other publications. Some of the publications I have written are Universal Design: Creating an Accessible Bathroom and Home Modification for Senior Safety, this one on Senior Navigator titled the The Peter Pan Dilemma, Ask the Expert on Seniors Guide, and this article titled Your Aging in Place Remodeling Questions, Answered. I also serve on the panel of experts at www.caring.com. I tell you all of this because I want you to know that I take your home renovation very seriously, and believe that I can never stop learning. Because I specialize in Aging-in-Place remodeling, my goal is to make your home a home for a lifetime; I want you to be able to enjoy your house without limitations to your mobility or access. It’s something I’m truly passionate about; if you schedule a consultation with me, I’ll make sure to discuss all your available options and help you create a home that you’ve always dreamed of. I can also provide you with references upon request. I believe that your home is your castle, and that when you make the choice to renovate it you should be able to choose a contractor who will have the experience to understand your unique needs and create the home of your dreams. I think that Solid Rock Enterprises, Inc. is that contractor; contact us today to schedule your consultation, and let me show you what we can do for you. Graduates must meet prescribed standards of business practice, have proven track records of successful project management, complete a comprehensive education curriculum, and pledge to uphold the program’s rigorous code of ethics. A contractor with this certification will have a good understanding of the specifications, product quality, and installation techniques that will help assure a first-class installation for their client. Chris earned this certification as part of his ongoing commitment to improving his skills and providing the best service possible for his clients. This certificate supplements the CAPS training and provides additional resources to help contractors create common sense solutions for life that are beautiful, practical, and safe for all ages. CEAC Credential – The Certified Environmental Access Consultant (CEAC) credential focuses on consulting and assessing the need of individuals to recommend and implement home modifications. Chris received this certification because he is part of the Accessible Home Improvement of America (AHIA) network, which is a nationwide network of independently owned and operated providers and contractors dedicated to providing accessible home modifications, independent living solutions, and related products and services. The CEAC credential is recognized by insurance carriers, life-care planners, case managers, and the contractor community. His commitment to furthering both his own education and the education of other contractors with regards to aging-in-place renovations have made Chris a valued NAHB Approved Instructor. 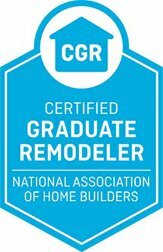 Certified Graduate Remodeler – Remodelers who have had at least five years of experience in the industry can apply for the Certified Graduate Remodeler (CGR) educational designation. In order to receive this designation, remodelers must complete a strenuous assessment and at least 12 hours of continuing education, as well as adhere to a strict code of ethics. Chris’s designation as a Certified Graduate Remodeler is a testament to his continued pursuit of education and excellence in the remodeling field. 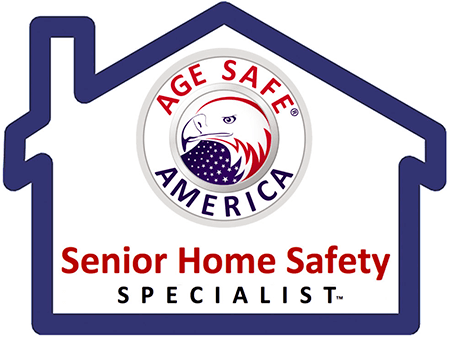 Senior Home Safety Specialist – As a Senior Home Safety Specialist, Chris has been trained to perform comprehensive home safety assessments. These assessments help to identify safety hazards in the home and recommend remedies. 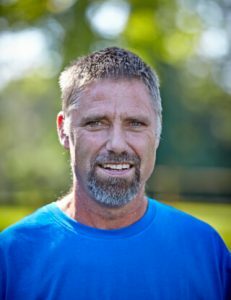 Chris’s designation as a Senior Home Safety Specialist is a testament to his passion for keeping people of all ages and abilities safe in their homes. After having been a framing contractor for many years, when the economy crashed in 2008, I was looking for a new direction. My parents had been living in an age restricted community in Arizona for about 15 years. My mom had a stroke and they moved back to Virginia to be near family. Like many people these days, I became a family caregiver. I made some home modifications to their home to make it safer and more accessible. These modifications included a ramp, some grab bars, and some swing clear hinges. 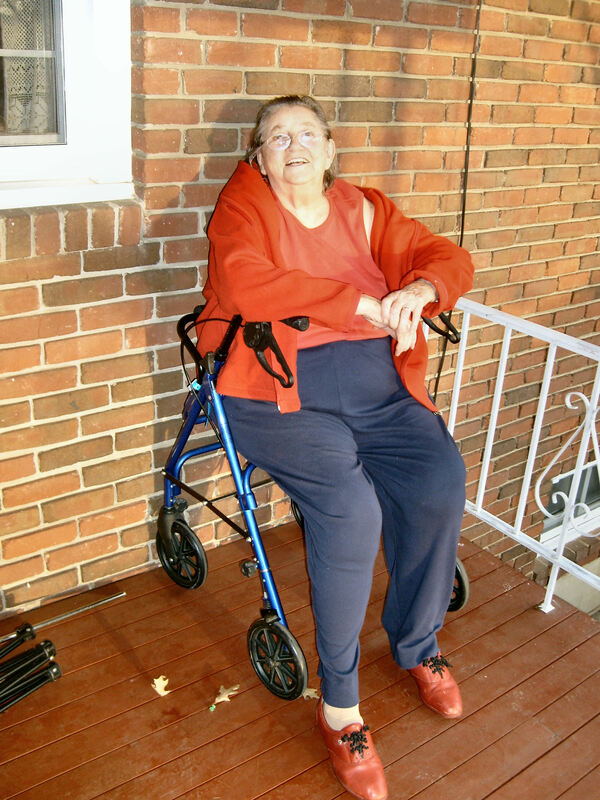 These modifications made it easier for her to live safely and comfortably in her own home. In the years since then I have been privileged to help many other people stay in the homes they love. Having been a caregiver for my mother (and later for my father) helps me to understand what others go through when caring for a loved one. Here is a link to my mother’s life story she wrote while she was in Arizona. 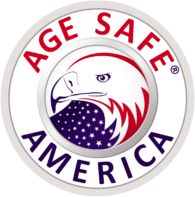 I hope it helps you understand my passion for Aging in Place.